Study the meaning of biblical words in the original languages—without spending years learning Greek or Hebrew! This classic reference tool has helped thousands dig deeper into the meaning of the biblical text. 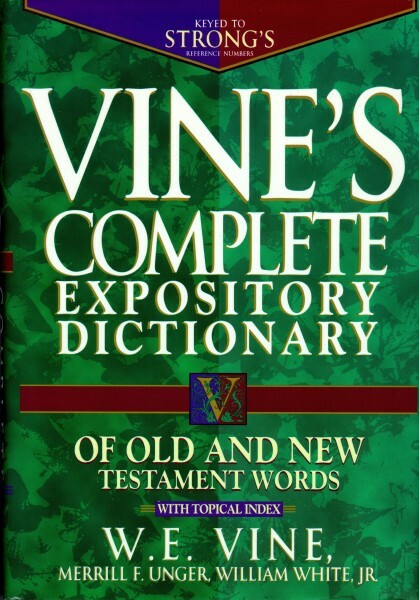 Vine's Complete Expository Dictionary of Old and New Testament Words explains the definitions and uses of over 6,000 key biblical words with reference to Strong's numbers. Includes Olive Tree's Enhanced Strong's Dictionary (with words in both the original language and transliterated form). This is a great resource for students, pastors, and anyone who enjoys biblical word studies!